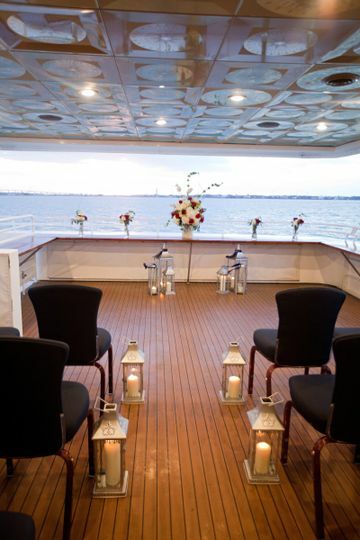 FantaSea Yacht Charters is wedding and event venue in Kemah, Texas. They are a premiere destination for cruises and events in the Houston, Kemah, Clear Lake, and Galveston Bay area. 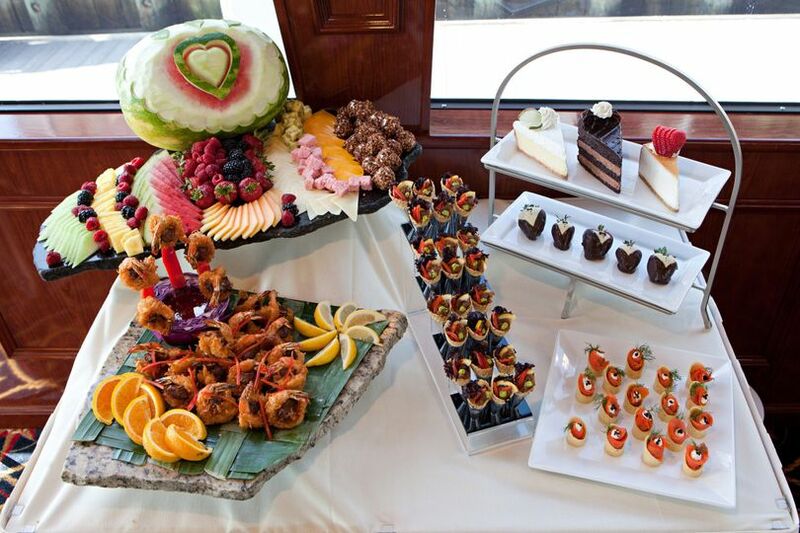 They are the largest charter yacht business on the Gulf Coast and offer elegant dinner voyages, sightseeing cruises, parties, weddings and other special events. 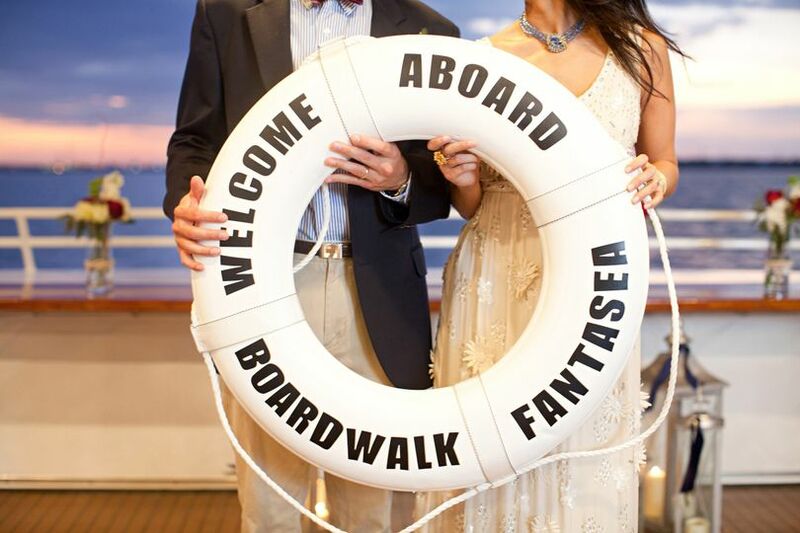 Boardwalk FantaSea cruises from the Kemah Boardwalk, a 60 acres entertainment complex, located 20 miles south of downtown Houston. 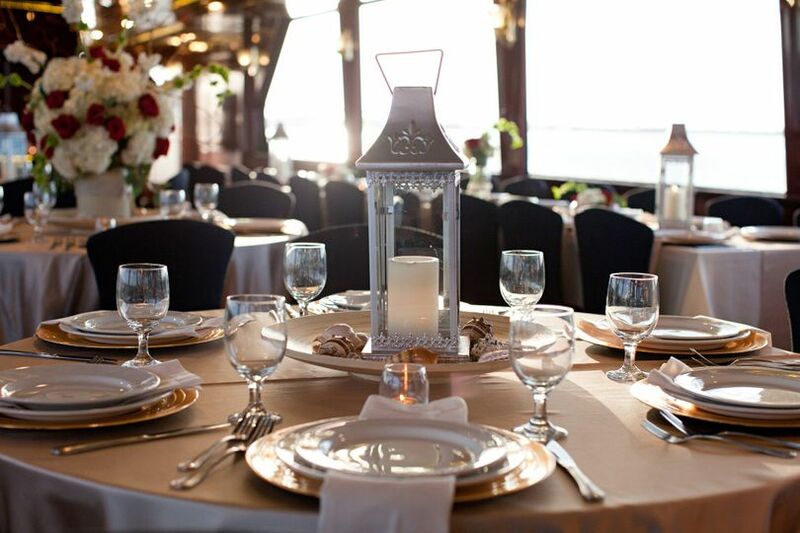 The Wedding Cruise yacht features panoramic views on the water, climate controlled decks, full-service bar on both levels, hand crafted custom cabinetry and brass plated fixtures, an elegant curved staircase that leads from the main deck to the second deck, a dance floor and a bridal suite. 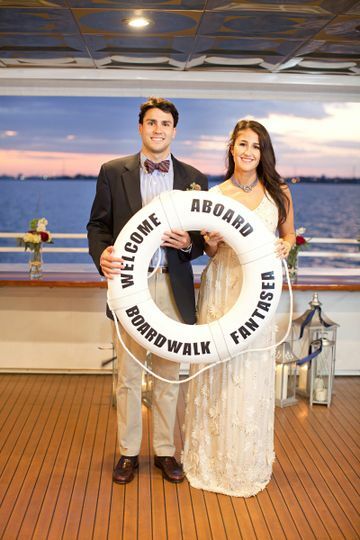 The wedding cruise can accommodate 128 guests. 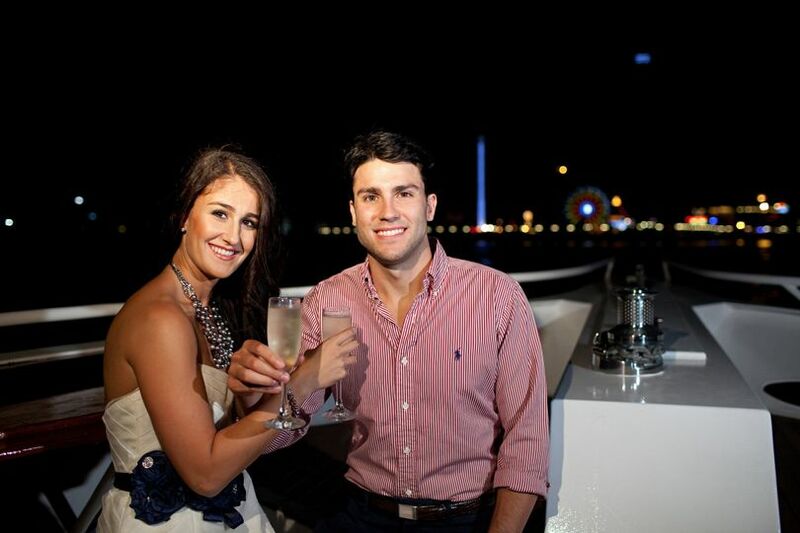 FantaSea Yacht Charters offers four wedding packages to meet your needs and make your vision come to life. Their Grand Wedding Package includes a four hour cruise through Clear Lake and Galveston Bay, a uniformed captain minister to perform the ceremony, fresh fruit and cheese display, assorted vegetable tray, full dual entree chef served dinner buffet, wedding cake, open bar, professional DJ, customized keepsake life ring, linens and decor and free parking on the Kemah Boardwalk. Their crew has years of experience planning beautiful wedding and events to take the stress off you. They are helpful when it comes to planning your unique day. 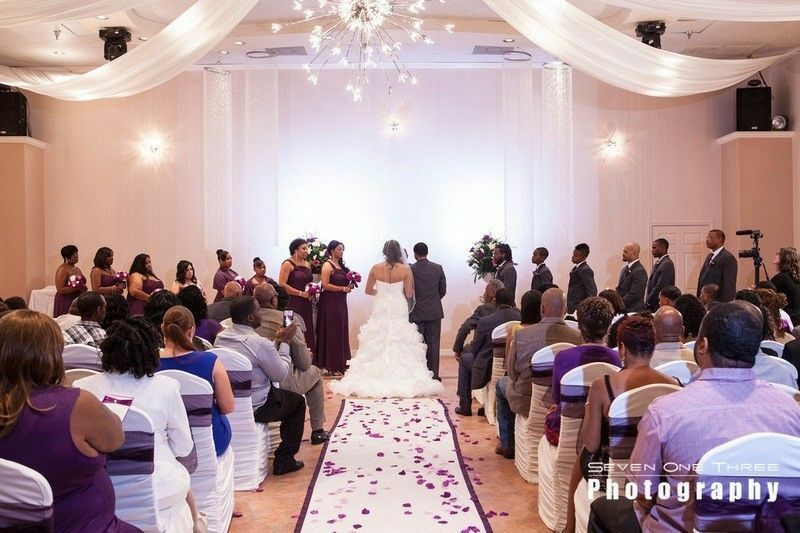 They can host your ceremony, reception, rehearsal dinner, engagement party and other wedding events. 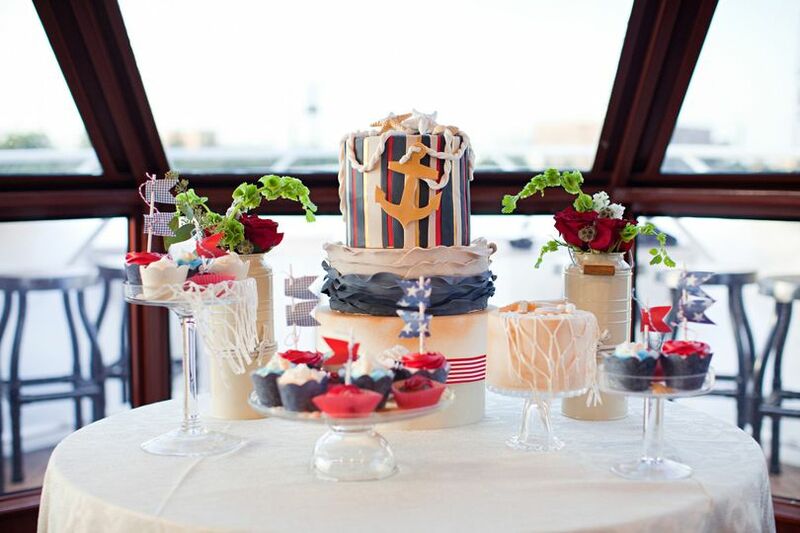 Their yachts provide catering and bar services for all your wedding events. 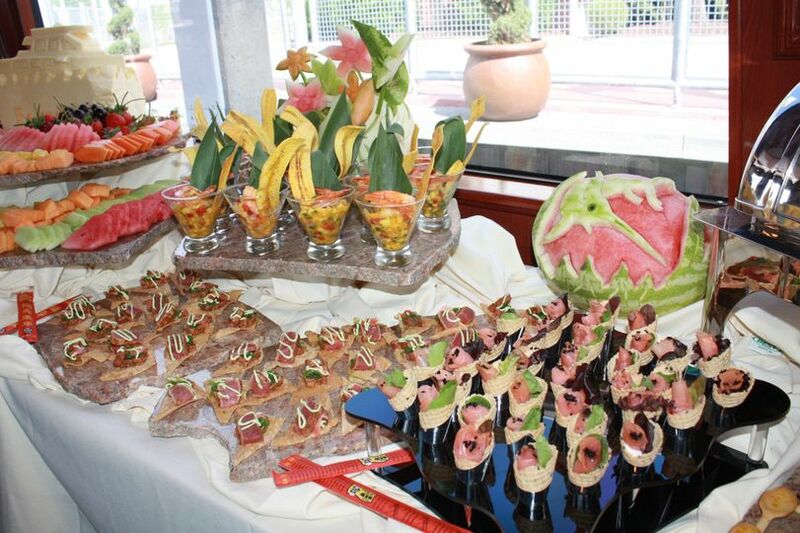 Their staff work with you to provide custom menus based on your wedding package. 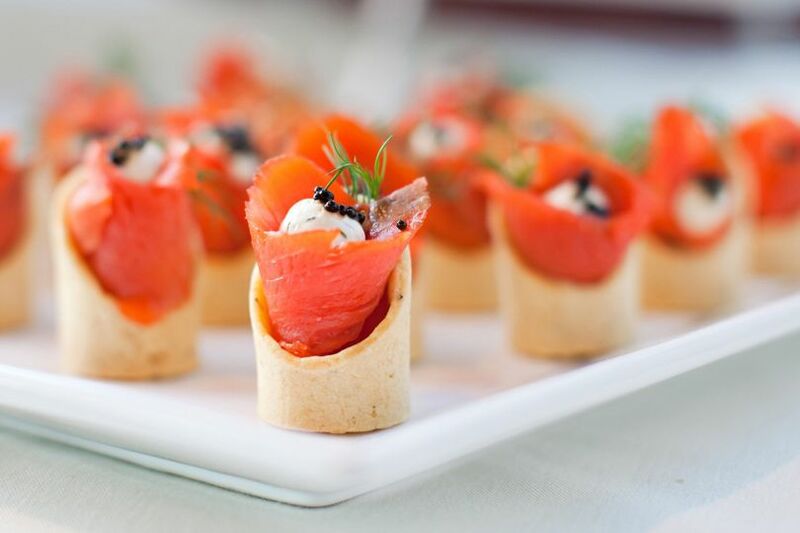 Your guests will rave about the freshness, flavor, and detail of your wonderful wedding food and cake. I cannot stress enough how amazing the staff is at the Fantasea. Planning everything was a breeze with their highly qualified coordinators, and it all came out better than I could have ever imagined. The entire staff was helpful accommodating and understood my crazy vision from the get go. Their service went above and beyond, and we will definitely be repeat customers for future events! Thank you Fantasea, Heather, and Lori! We could not say more thank for FantaSea and its staffs. Very experienced, professional, helpful, and nice staffs and service. You won't regret after choosing them. Especially for their onsite coordination, you won't need to worry about the details on your wedding date because they will foresee them for you before the wedding and take care for you on the wedding date. And also, on that day, it was so hot, so every 10 or 15 mins, their staffs would bring us water and drinks to make sure that me and my husband won't dehydrate. Usually people say that groom and bride won't have time to eat, but I have to say that we did have enough time to eat because of FantaSea's and our friends' good coordination. Again, we want to thank FantaSea again for their great help. Greetings! 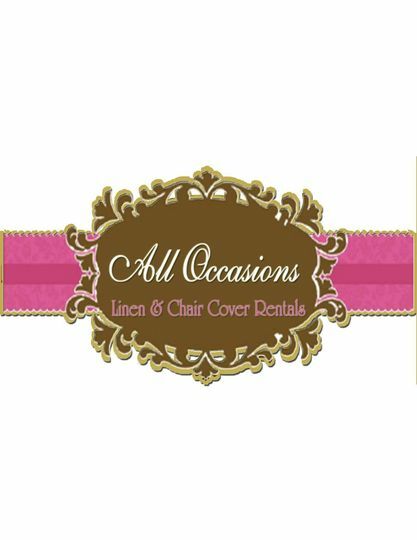 We at All Occasions Linen and Chair Cover Rentals thank you for allowing us to network with you. Please let us know if we can be of assistance to you or your clients!